We thoughtfully designed each of our one, two, and three bedroom apartments at The Atlantic Station with a Fort Worth, TX, twist. No matter what home you choose – from 680 square feet to 1,248 square feet – a spacious layout awaits you complete with beautifully modern features. In every apartment home, your space will extend outdoors with a sunroom or a private patio or balcony. Some homes even include added outdoor storage for your convenience. Modern extras have been included in your home to add room for storage, organization, and design. The spacious walk-in closet and full-sized washer and dryer are perfect for keeping your wardrobe in order. Additional linen closets are even included in some floor plans for any extra blankets or towels you may have. Built-in nooks and shelving make it easy and stylish to keep books, pictures frames, and decor items on display. With convenient and life-enhancing extras like these, it’s easy to call The Atlantic Station home. 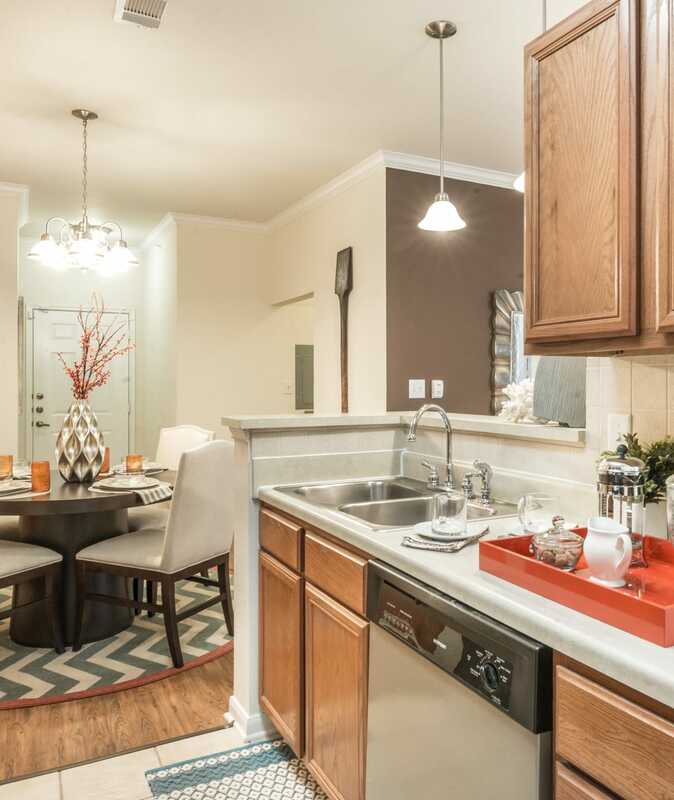 Take your time looking through our available floor plans. Once you have found your favorites, give our professional leasing team a call. We would love to schedule you an in-person tour.